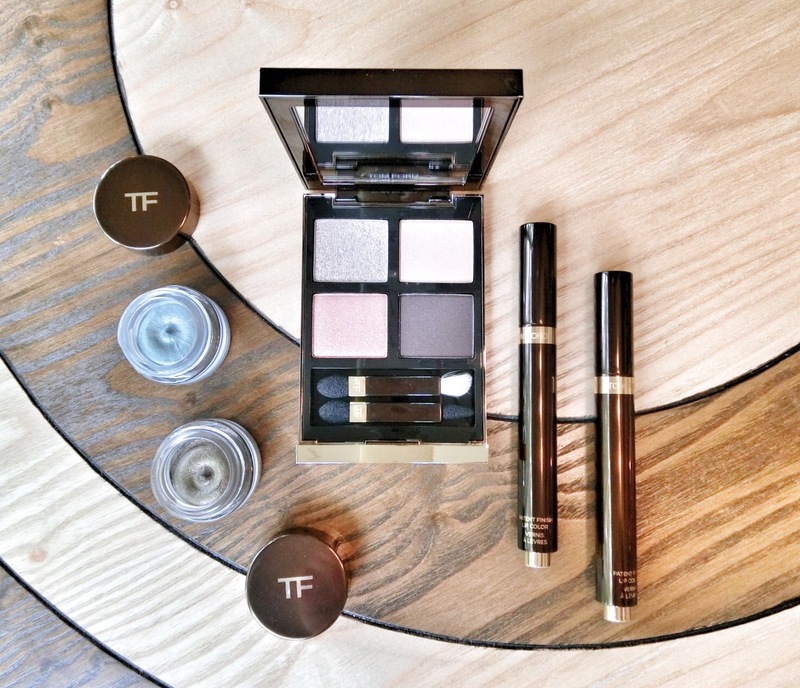 Tom Ford’s makeup collection always makes my heart beat faster. Ford’s glamourous image and branding, the sleek packaging, the innovative formulas, and the intense colours all make up a winning formula. This latest spring collection is a hit with me, especially with the new Patent Finish Lip Color. A combination of an intense lip stain and gloss, the lightweight liquid lipstick is dispensed through a click-pen velvet-tipped applicator for precision. Despite the formula’s viscous consistency, it is comfortable on the lips with no sticky afterfeel. The liquid lipstick is also relatively long-lasting and stains the pout. Available in eight shades of red and pink. The Cream Eyeshadow is smooth and silky, and offers sheer, buildable coverage with a fine iridescent, metallic finish. Perfect as a powder shadow base for longer-lasting eye make-up, and for lining the eyes lightly. Ford’s Eye Colour Quads are my all-time favourites. The pigmented colours and textures (matte, metallic, glittery, iridescent), all complement each other well for interesting and dimensional eye make-up. Disco Dust, one of the latest palettes, is lovely. The powders look different under various lighting. Under the sunlight (pictured below), the shades look more pastel. Indoors, the pale lilac (top left) is a greige with silver glitter; the pale pink (top right) is a slightly metallic light bronze; the pink (bottom left) is a metallic rose gold; and the greyish- purple is a metallic deep plum. Wow! That quad is gorgeous!